The Indian government has launched a special pension and life insurance scheme that would benefit over 5 million unskilled and semi-skilled workers employed overseas mostly in Gulf countries on temporary contract visas. The government has created a special fund called Pension and Life Insurance Fund which will be used to partly contribute to a pension and insurance cover to the low-paid workers. The policy was prepared through the recommendation of a project “Return and Retirement Scheme “ headed by Dr. Kavim V Bhatnagar. He shared his ideas about this scheme with Dr. Sadananda Sahoo, Editor, GRFDT. The scheme is called as ‘Pension and Life Insurance Fund for Overseas Indian Workers’. The Government of India has approved on 4th January 2012, the proposal of Pension and Life Insurance Fund (PLIF) for overseas Indian workers having an Emigration Clearance Required (ECR) stamp on their passport and migrating to 17 such countries where they need emigration clearance. How does it benefit the diaspora? The PLIF scheme aims to encourage, enable and assist overseas Indian migrant workers having Emigration Clearance Required (ECR) passports and who have emigrated overseas or are in the process of emigrating overseas on a valid temporary employment/ contract visa to voluntarily (a) save for their return and resettlement, (b) save for their old age pension (c) obtain a Life Insurance cover against natural death. A special co-contribution of up to `1000 by MOIA towards return and resettlement (R&R) for all overseas Indian workers who join the PLIF and save `4000 per financial year towards their return and resettlement. Is there any such policies introduced by any other countries before? If yes in what way this policy is different from them? No, as of now no other country has introduced such scheme in the knowledge of the author targeting low income informal sector migrant workers with special emphasis on women workers. How does it address the issue of gender and most vulnerable section? The scheme provides for ‘A special additional co-contribution of `1000 per financial year by MOIA for all overseas Indian women workers’ who join the PLIF and save between `1000 and `000 per financial year in the PFRDA regulated NPS-Lite scheme. This would not only provide them an incentive to save for return and rehabilitation but would also provide them a social security and income in their old age. Do you perceive there is any implementation problems involved in the policies? Yes. There are many implementation challenges / issues involved in the scheme. The challenges may range from low literacy and lower financial and pension literacy to providing a secure sustainable institutional architecture of seamless flow of contributions from members to the fund manager. Enrollments at the offices of POE in India and Indian Mission abroad would require political and administrative will and support from Indian diaspora including civil societies etc. working for Indian migrant workers. Support from overseas employers and Governments towards facilitating remittances and investments are also few challenges that have to be met with care. 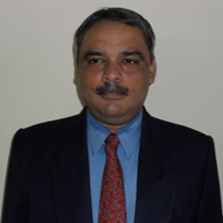 Dr. Kavim V Bhatnagar is a unique combination of a researcher, a pension economist, a micro pension lobbyist, designer and practicing professional and a Civil Servant (Madhya Pradesh Finance Service, 1991) by profession holding more than twenty years of varied experience in area of Social Protection in general and pension sector in particular. Expertise includes articulating social security schemes of Government and NGOs including designing and implementing micro pensions and co contributory pensions in India. He is currently working as a ‘Pension Specialist’ in the World Bank project on ‘Strengthening Public Expenditure Management Program’ (SPEMP) in Bangladesh. Email-kavimbhatnagar@hotmail.com.